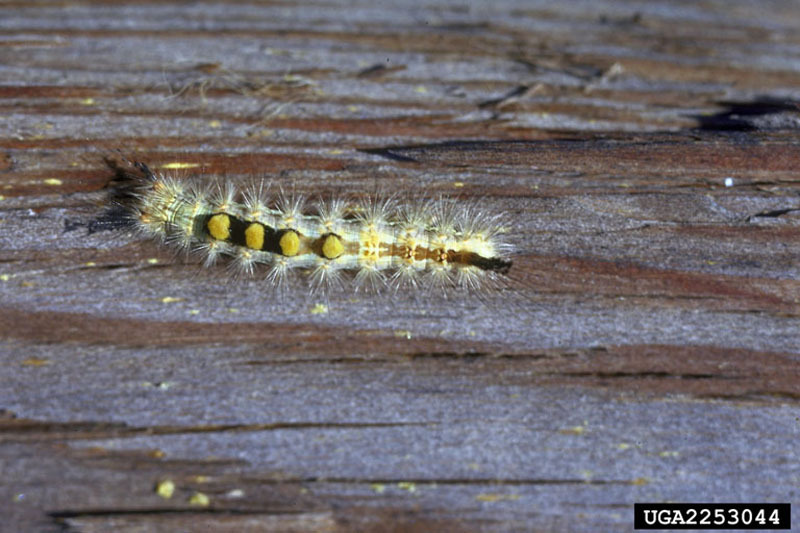 The polyphagous rusty tussock moth is a generalist feeder for which about 50 coniferous and hardwood host species have been recorded. 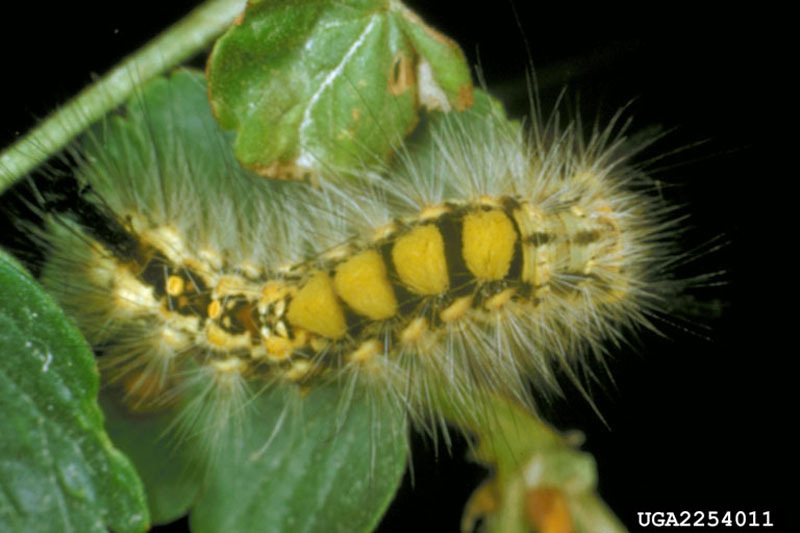 The larvae emerge in the late spring and feed until late July or early August. They first attack current-year foliage, which quickly turns brown. Later in the season, they feed on both older and current-year needles of conifers. Defoliation occurs first in the upper crown, then in the outermost portion of the branches and finally in the lower crown and farther back on the branches. Rusty tussock moths are relatively easy to identify: they are fairly long (about 30 mm), very hairy, with black heads, dark grey backs and yellow bellies. Their bodies have four to seven tufts of dense, short, yellowish white hair, which are perpendicular to their bodies and radiate from orange tubercles. The caterpillars also have two long black pencil tufts projecting forward from the first thoracic segment and a similar one back from the rear of the body. The female moths are wingless. These solitary defoliators, originating in Europe, are known to have a long history in Canada. Nowadays they can be found from coast to coast. Outbreaks of the insects are usually small-scale and short-lived, and the damage they have caused thus far has not been significant, although fairly serious infestations, particularly of fir and spruce, have been recorded in Newfoundland. These outbreaks have been sporadic despite a significant presence of the insects throughout southern New Brunswick and in northern Alberta. They appear to be virtually harmless in Ontario. 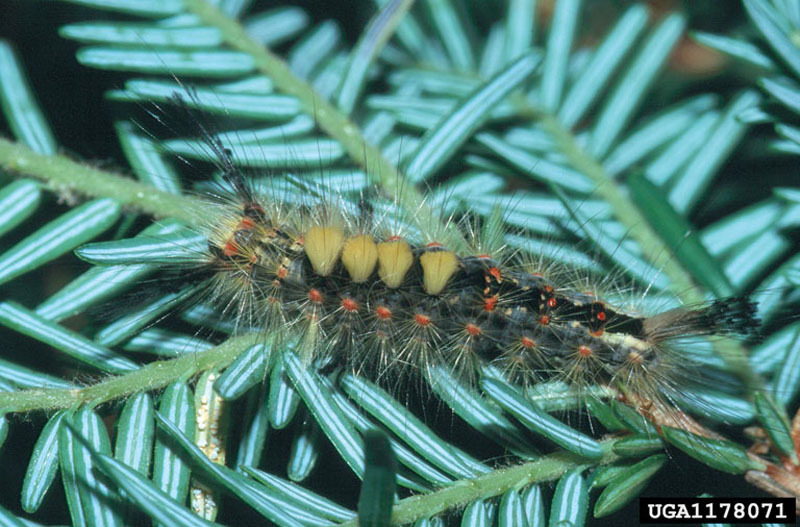 In Western Canada, rusty tussock moths are included in a list of pests with a fondness for cranberries. 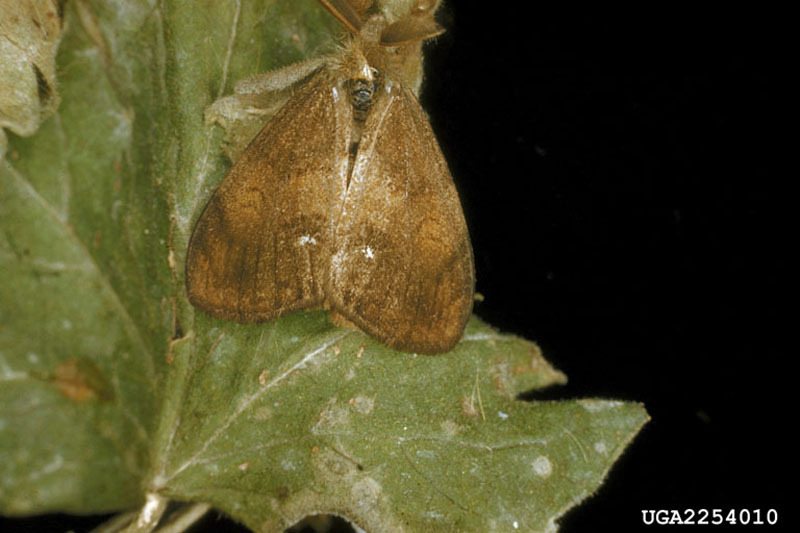 They are often found in the same areas as whitemarked tussock moths, a closely related species.